My Soul Searching quilt is finished! This is one of the quilts my aunt quilted for me on her long arm, all it needed was to be bound. But, other projects kept getting in the way and I couldn't figure out what I wanted to bind it in. With help from my quilty friends I finally decided on a black/grey binding and it's perfect. 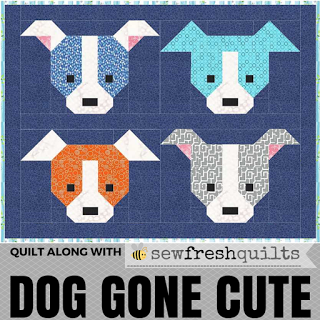 This quilt is from Kathy Doughty's Making Quilts and is a fantastic stash buster!! It is quilted with a clamshell design. It is so fun to see all the fabrics from previous projects playing together. This is so cute! I love the clamshell quilting and especially the scrappiness of this quilt! Love the colors and the use of low volume fabrics. Looks Great!! Gorgeous quilt! I love that there are so many fabrics from previous projects...great idea! Very pretty! This pattern is on my bucket list. I have lots of scraps waiting! Love love a great scrappy quilt! Very nice, and a lovely quilting pattern! Whoop whoop! !